This month, the delegation of Soroptimist International Europe participated in the 63rd Commission on the Status of Women. 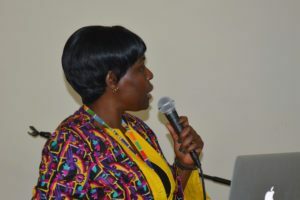 It was made up of about twenty Soroptimist from all over the Federation, and led by President Renata Trottmann Probst and Vice President Advocacy Elizabeth Otieno Nyadwe. The Soroptimists attended a number of events organised at the UN by governments, international organisations and associations around the world. Vice President Elizabeth Otieno and representatives of the Federation shared the Soroptimist experience at two parallel events organised by SI, on the themes of “Vocational training of women: an excellent investment” and “Lifting Women out of Poverty through Lifelong Learning”. The Soroptimist projects were thus presented to a receptive and enthusiastic audience. Members of the delegation had the opportunity to lobby their government representatives, and to attend sessions and events related to the themes of the Commission on the Status of Women this year: Social Protection Systems, access to public services and sustainable infrastructure for gender equality and the empowerment of women and girls. They were also able to participate in networking nights and meet exceptional women. 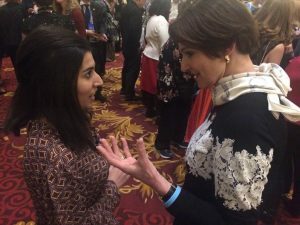 During the NGO CSW reception, SIE President Renata was able to exchange a few words with Gharsanay IbnulAmeen, the recipient of the 2019 “Woman of Distinction” Award, presented each year by the NGO CSW on the occasion of the CSW. This inspiring young woman has contributed to the education and promotion of girls’ and women’s leadership in Afghanistan. Following these days of networking and solidarity, the Soroptimists of the CSW63 delegation returned to their respective countries where they will share their experience with their Clubs and their Unions. They will also continue lobbying at local and national levels.